One of the reasons that people become performers is that they like the attention. Most of the time that attention comes in specific, expected forms. 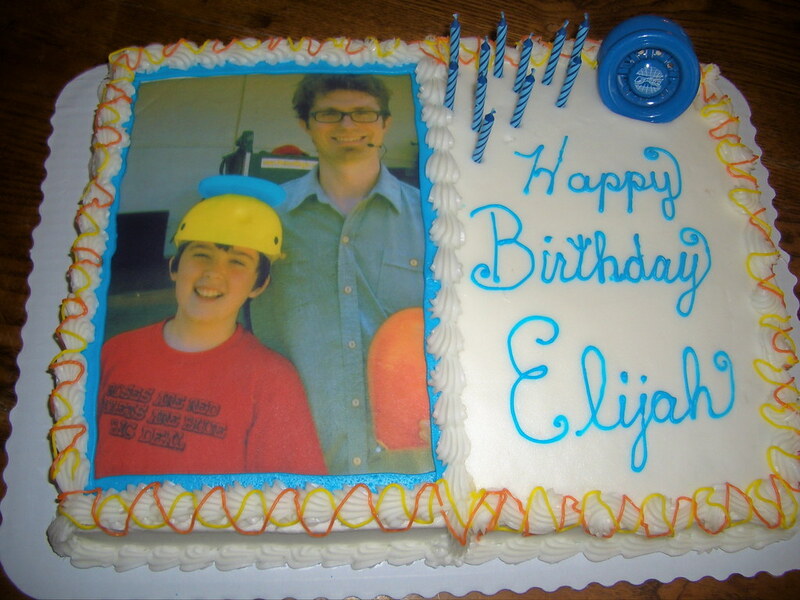 But I was recently offered an awesome new format: my photo on a kid’s birthday cake. Elijah’s mom took this photo of us after a show at the Burlington WI ChocolateFest. Then I got an email from her a few weeks later asking if she could use the image on Elijah’s birthday cake. I couldn’t say yes fast enough! What an AWESOME idea! I’m not sure who was more excited about the cake, Elijah or me. Today will be my last day of Summerfest for this year. Last night Marcus Monroe had a barbeque at his house. It was a lot of fun. They even surprised me with a birthday cake. Andrew and Wayne were there and Andrew was in his full glory. He was hilarious, and at times it was like we were watching the Andrew show. After my shows at Summerfest today, Vader and I head off to Madison for a few days since my brother Kent and his new fiancee Lissa are in town. I’m really looking forward to it. Comments Off on It’s My Birthday! Yup, you heard it right… today is my birthday. I am going to celebrate in my traditional fashion by working at Summerfest, and then having a little party with some of my family. It’s going to be fun. For a few years I was bringing b-day treats to the people I work with at Summerfest, but that turned out to not be as fun as I had hoped, so I stopped doing it. Mark Hayward Is My Hero is powered by	WordPress 5.1.1 and delivered to you in 0.279 seconds using 37 queries.